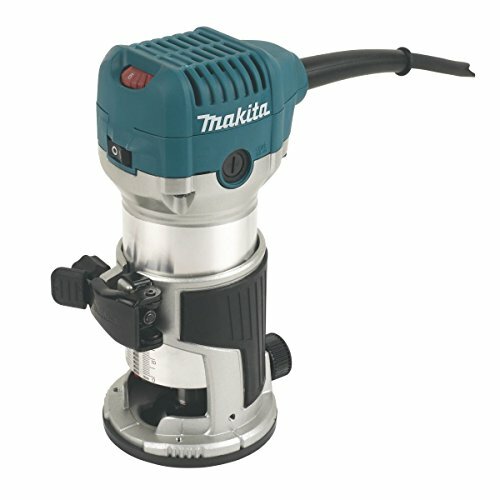 A compact, powerful router trimmer with a high quality, solid aluminium body. Lightweight tool offers greater flexibility and is ideal for trimming, edge forming, slot cutting, decorative work and many other uses. Supplied with wrenches and guides. Product contents:RT0700CX4/2, base, 2 x wrenches (13 and 22mm), trimmer guide, straight guide and ¼" - 3/8" collet cone. Specifications:Max. plunge stroke 35mm. No load speed 10,000-30,000rpm. Weight 1.8kg. 110V version includes plug. In-Line Dust Extraction. Lock-On Switch.